You can manage your invoices on the go, edit your draft invoices, email invoices and change the status of the invoice, all from your phone or tablet device. Creating invoices on the go allows you to send your invoice immediately after finishing a job. The key feature is that at all stages we try and have you filling out as few fields as possible, so this can be done quickly. All your invoices are stored centrally for chasing later and you can record all your payments made either as a deposit or part payments. 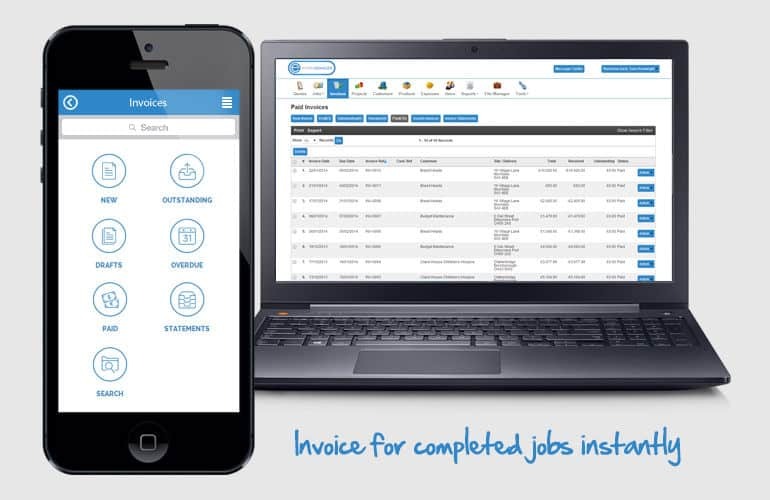 Having a Mobile Invoicing system takes away the need sit down at the end of the week and catch up on all those jobs you have done. Also allows you to replace any lost invoices that a client may not have received at the click of a button.